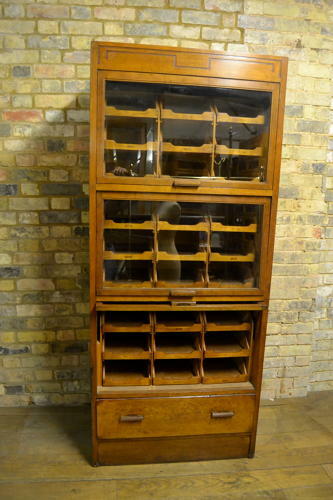 This haberdashery drapers cabinet has three lift up doors, concealing nine drawers in each section, and one solid drawer. It is a 1930s original in great condition. Ideal for retail or home display.